In a room surrounded by statistics, a printing machine spews texts at regular intervals. They appear to be testimonies; a closer look, and their words appear jumbled, in disarray — half-learnt, almost robotic. Two voices can be heard over the machine’s drum. They appear to be telling a poem of war, of many voices, broken and trying to rebuild in the new peace. 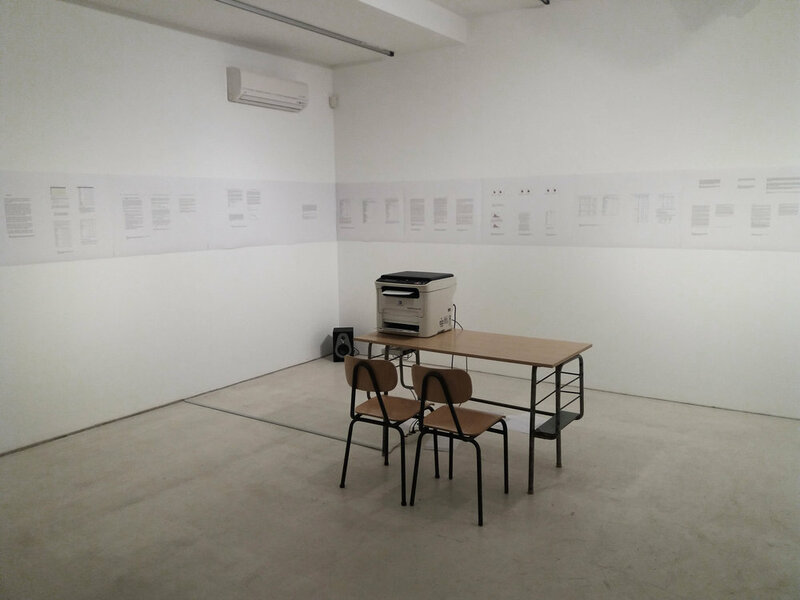 (Re)constructing Voices is a work produced in collaboration with artist Ryo Ikeshiro in the framework of an exhibition based on testimonies from veterans of the Yugoslav Wars. Using testimonies as well as text generated by algorithms, (Re)constructing Voices questions the modalities of using and presenting material such as the interviews we were invited to work with. Simultaneously ironic and grave, it functions both as a memorial in the making and a reminder of the over-saturation that documentary research and presentations can cause. 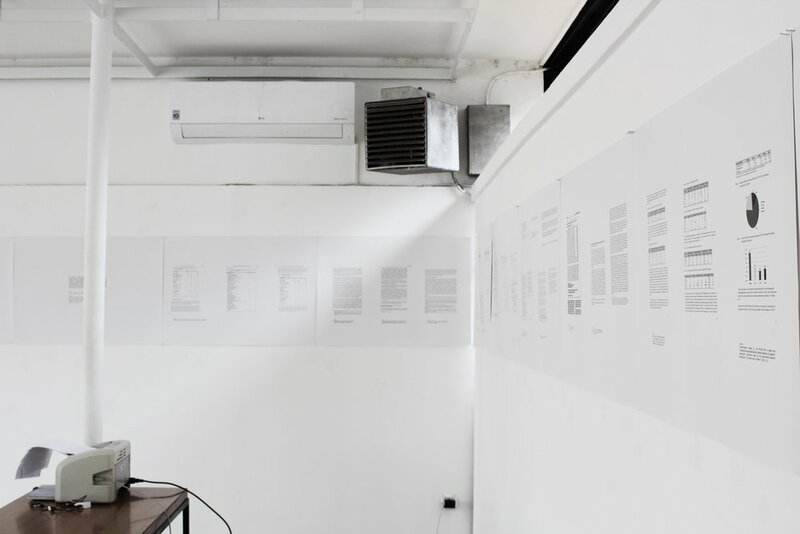 In conjunction with the uncanny ability of algorithmically-generated “fake” text in eliciting an emotional response, (Re)constructing voices serves to highlight the complexities inherent in the use of these interviews, their implications and the eventual risks their presentation can entail. 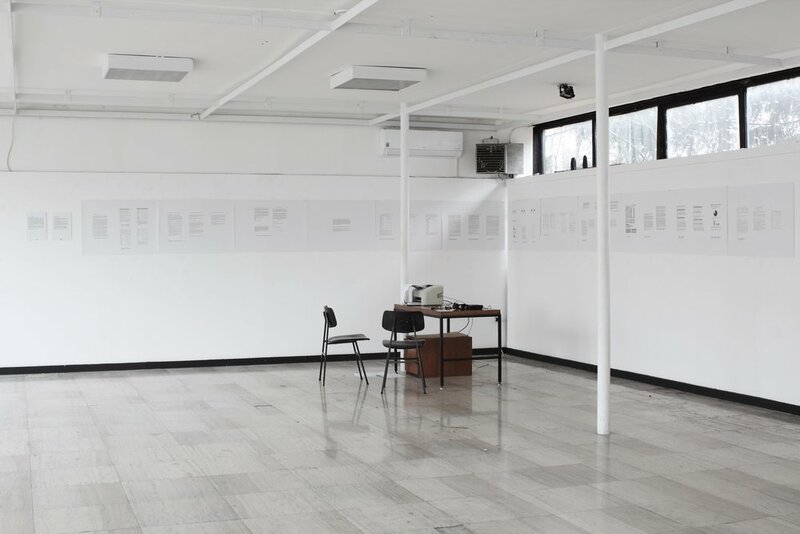 (Re)constructing Voices aims to explore this complexity and invite the visitor to ponder the processes through which voices from the war are presented, mediated and eventually silenced. Set against a backdrop of war statistics compiled from various sources, it reflects on the way this material can be collectively accessed and on the limits of individual agency and witnessing. 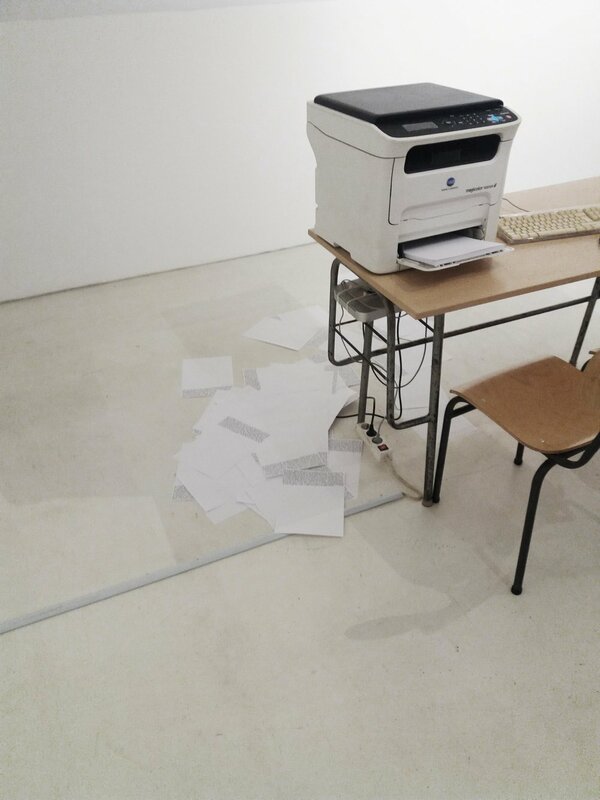 A collaboration between various institutions — including the Centre for Cultural Decontamination (Belgrade), the Serbian Museum of Contemporary Art and the Osservatorio Balcani e Caucaso Transeuropa (Italy) — the exhibition was presented in the Museum of Contemporary Art (Belgrade), the Historical Museum (Sarajevo) and the Folklore Museum (Vienna).